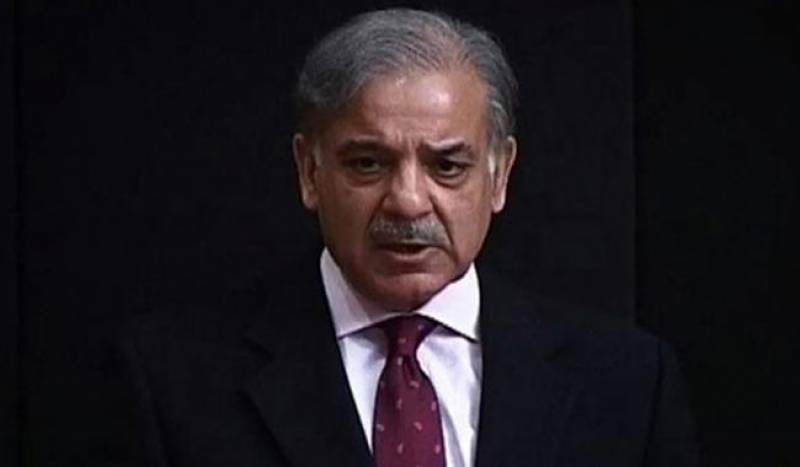 ISLAMABAD: A meeting was held opposition leaders and government ministers on Wednesday to find a way to break the deadlock over the nomination of Leader of the Opposition in National Assembly Shehbaz Sharif as the chairperson of the Public Accounts Committee (PAC). The meeting, chaired by NA Speaker Asad Qaiser, failed to bring the opposition and government on the same page. The two sides, however, vowed to remain engaged on the issue of PAC chairmanship and formation of standing committees in the parliament. “I am hopeful that … God will resolve this problem [deadlock] before the start of 2019,” said Minister of State for Parliamentary Affairs Ali Mohammad Khan, who represented the government during the meeting. Defence Minister Pervez Khattak and Finance Minister Asad Umar were also present. Talking to reporters after the meeting at the speaker’s office, PML-N leader Rana Sanaullah said the opposition parties insisted on their demand to name Shehbaz as the PAC chairperson. “Several options were discussed with the government and both sides gave their recommendations,” he added. Other opposition leaders in the meeting were PML-N’s Ayaz Sadiq and Rana Tanveer and PPP’s Naveed Qamar. Sanaullah refused to provide details of the recommendations that were presented to end the deadlock, saying the two sides would discuss them internally before further talks are held. He also said the PML-N representatives had requested the speaker to issue the production orders for former railways minister Khawaja Saad Rafique, who was arrested by the NAB on Tuesday. Sadiq said Speaker Qaiser had assured them that the orders will be issued. However, state minister Ali said no decision had been taken in this regard as yet, and that the NA speaker will decide the matter as per rules. PPP’s Qamar said they had suggested to the government that a PTI nominee could chair PAC sessions in which audit paras concerning the previous PML-N-led government are to be reviewed, to avoid a possible conflict of interest that could arise with Shehbaz presiding over such sittings. “The government cannot reject our recommendation,” he said, adding that things will be decided through a consensus. The PPP leader clarified that the opposition was not considering the name of MNAs other than Shehbaz to lead the PAC. The National Assembly had gone into its sixth session from Monday with NA Speaker Asad Qaiser still struggling to end the deadlock between the government and the opposition over the issue. The NA speaker had to stop the process of the formation of the committees due to the opposition’s threat to boycott all the committees if the ruling PTI did not offer the PAC chairmanship to Shehbaz as per the “parliamentary traditions”. The opposition parties claim that Qaiser in a meeting with them had previously agreed to their demand of nominating the PML-N president as the PAC chairman, but later backtracked from his commitment due to resistance from other PTI leaders. The PTI is unwilling to give the PAC chairmanship to Shehbaz, saying it could not allow him to review the projects that had been initiated and executed by the previous PML-N government. The delay in the formation of the standing committees has begun to affect the functioning of the parliament, which has almost become dysfunctional as far as legislative work is concerned. The house has only been able to pass the Finance (Supplementary) Bill despite the passage of government’s first 100 days. A delegation of Muttahida Majlis-e-Amal (MMA) lawmakers separately met NA Speaker Asad Qaiser and others ministers to discuss the obstacles in the setting up of standing committees. The speaker was quoted as saying during the meeting that it was his top priority to grant equal rights to members of all parliamentary parties. He urged the treasury and opposition members to play their role for the smooth running of the lower house’s proceedings and move forward on ending the impasse that is hindering legislative business and the formation of standing committees. “It is the right of every member and every party to have a dissenting opinion but it is the collective responsibility of all to maintain a favourable atmosphere,” Qaiser said. The MMA delegation assured the speaker of their support in the effective functioning of the house.